Gratis NOLA! : It's a Delicious Tuesday with Taceauxs, Veggies and Tasty Music! 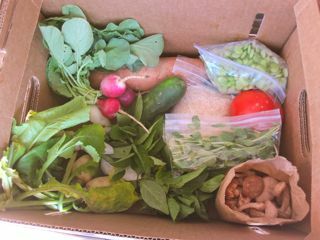 It's a Delicious Tuesday with Taceauxs, Veggies and Tasty Music! You can get your day started off right with a trip to the Farmer's Market! 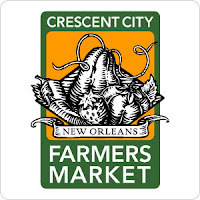 Visit the Crescent City's Farmer's Market at University Square (200 Broadway) from 9:00 am to 1:00 pm for the freshest veggies, fruits and seafood. Taceaux Loceaux - With seafood, meat, or vegetarian options available, there is a taco for everyone's tastes. Today come try the creatively named taceauxs such as the Seoul Man (bulgolgi chicken), Jane Deaux (braised greens) and Messin’ with Texas (brisket. Muy delicioso! 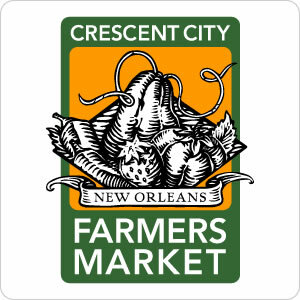 **The fourth event in the series is tonight from 5:00 to 9:00 p.m., at the Press Street Lot - Corner of Royal and Press in Bywater!!! There's a great musical evening on the Avenue at the The Columns (3811 St. Charles Ave.) at 8:00 p.m. tonight! Have a fancy cocktail and listen to guitar playing man, John Rankin and reed man, Ray Moore! Head on over to Mid-City and to Chickie Wah Wah (2828 Canal) for some more great guitar playing with Johnny Sansone and John Fohl at 8:00 pm - and come hungry for a Sammich! Have some fun at the Allways Lounge (2240 St. Claude) with the All-Star Covered-Dish Country Jamboree starting at 9:00 pm with + Kim Carson + SQUARE DANCE with Nathan Harrison. It's $5 at the door or $3 if you bring a covered dish - see you there! Right down the street the Spotted Cat (623 Frenchmen) has a triple header with no cover - Bart Ramsay at 4:00 pm, Shotgun Jazz Band at 6:00 pm, and top off the evening with the Aurora Nealand and The Royal Roses at 10:00 pm!